ENO Slap Strap Hammock Hangers are an efficient and intuitive way to hang any hammock easily and safely. The ENO Slap Strap Hammock Hangers hammock suspension system provides six points on each side to attach to the carabiner ends of a hammock. This enables two points of contact up to twenty feet apart. Let your imagination pick your next resting spot. Be in charge of your relaxation efforts, anywhere: off streets signs, roof racks, rocks, and big city apartment porches. The ENO Slap Strap Hammock Hangers come in pairs and are packaged in their own stuff sack made from ENO hammock materials and colors. 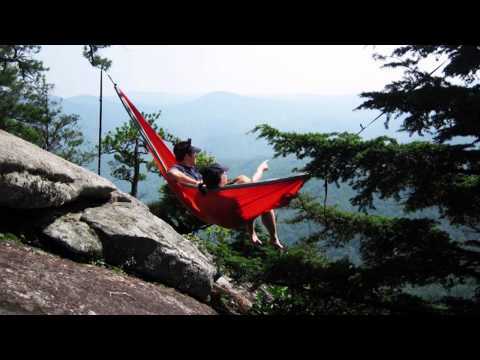 While ENO's Slap Strap system is made for ENO hammocks, it can be used easily with virtually any hammock on the market. Ordered the ENO Slap Strap Hammock Hanger, and received them in a very timely manner. Used it on my first camping trip this year and I was very pleased with the ease of use. I would definitely recommend this product as well as this company! They were exactly what we wanted! Very pleased with the fast service. These worked great for our hammocks we bought in the caribbean during our honeymoon. We took them to our campground, and they are easy to put up and to take down, without any damage to the trees. It worked so well, that I bought a second set a week later. HINT: Stuff a t-shirt into your Slap Strap bag and make an instant travel pillow for your hammock! The ENO Slap Strap Hangers are great and very versitile! A must have with your hammock! No knots to untie, no holes you have to drill in trees, they just make sense. I use these on everything from load-bearing columns on buildings, to roof ralis on my car, to trees in the woods! Super strong and worth EVERY CENT!